Different organizations and geographical regions around the world are often inconsistent in the way that they manage time. Some situations will call for you to use a 12-hour clock, where you identify the time with an AM or PM modifier, while others will adopt a 24-hour clock format where the AM and PM aren’t necessary. 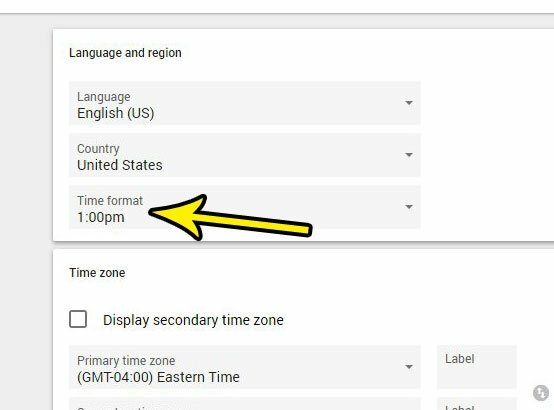 Your Google Calendar may currently be in the 12-hour format, but this is a setting that you can change in the application. 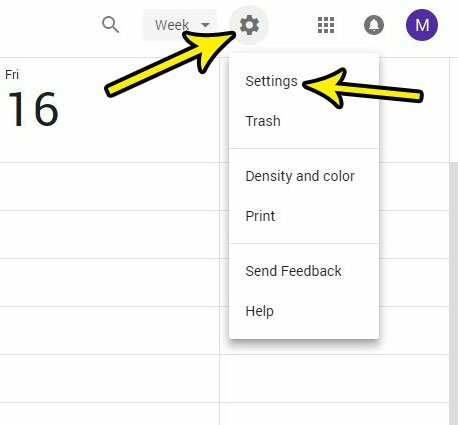 Our tutorial below will show you how to change Google Calendar settings through your Web browser so that your calendar starts using a 24-hour clock format instead. The steps in this article were performed in the desktop version of Google Chrome. 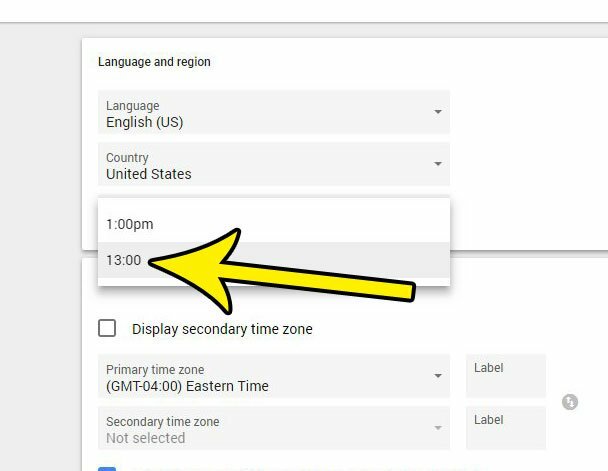 Completing the steps in this guide will change the time format of your Google Calendar so that times are displayed in a 24 hour format. This means that 1:00 PM will now be shown as 13:00. Step 1: Sign into your Google Account and open Google Calendar in your Web browser on a computer. Step 3: Click the Time format dropdown menu. Step 3: Choose the 13:00 option. While you are changing settings in your Google Apps, you might be interested in modifying your Gmail signature, too. Find out how to add a link to your Gmail signature if you want people to be able to click that link from your email to open a Web page or a social media profile. This is helpful to do if you use your Gmail account primarily to communicate for work, or as part of a group where others might wish to know a little bit more about you or your organization.